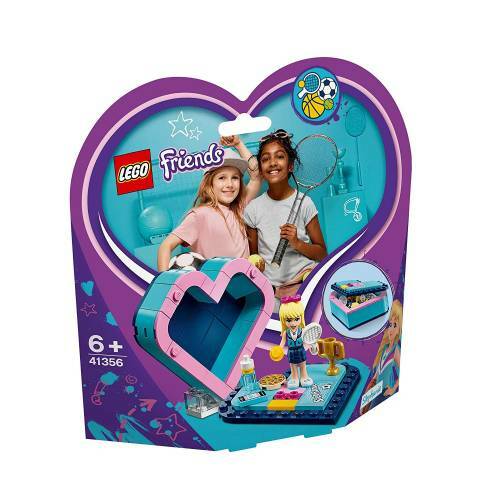 LEGO Friends 41356 Stephanie’s Heart Box is a cute carry case for sporty LEGO Friends Stephanie and all the items that sum up her character best. Inside the LEGO Friends box is a tennis racket and ball so she’s ready to display her sporting skills wherever she is. There is also a golden trophy in this LEGO Heart Box to show that hard work and dedication pay off. This toy is a true travel set, as every element fits into the heart box and the lid keeps all the pieces together. 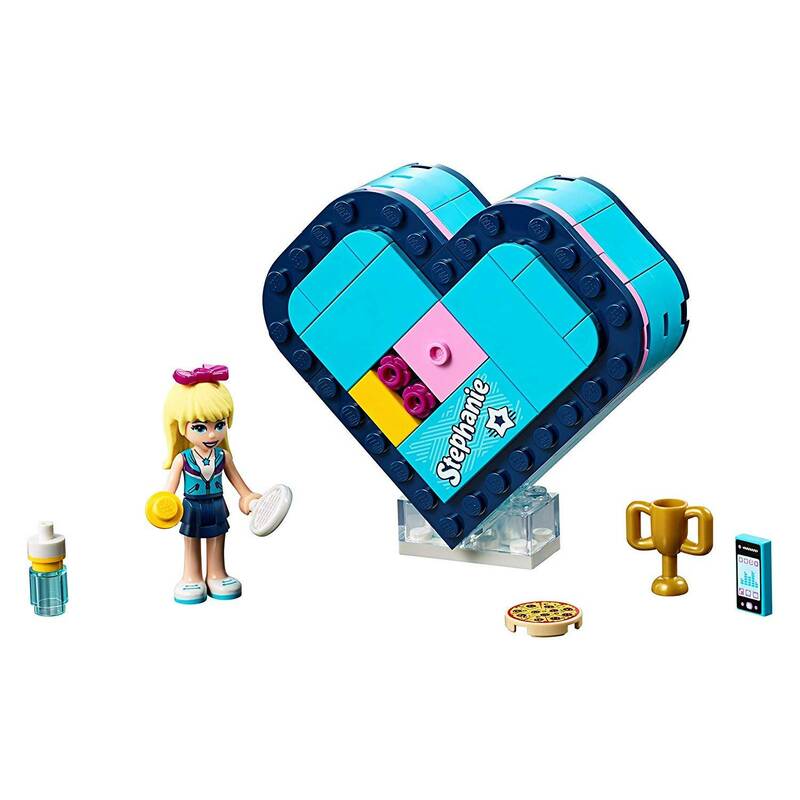 Stack this cool collectible LEGO Friends toy with 41354 Andrea’s Heart Box, 41355 Emma’s Heart Box, 41357 Olivia’s Heart Box and 41358 Mia’s Heart Box to explore the personalities of all the friends from Heartlake City. Contains 85 pieces. Heart Box measures over 1” (3 cm) high, 3” (8 cm) wide and 3” (8 cm) deep.